Just to make it clear for every one; I am not a dealer nor do I have any interest in any shops, this list is compiled to assist in knowing what is at some time or other produced, and if I have seen the kit, or read a review of it, I will post that as well. Bell P-39D Special Hobby 32002 Injection moulded Airacobra, planned for reease 2006. Bell P-39Q Special Hobby 32012 Injection moulded Airacobra, planned for reease 2006. Boeing B-17 E Combat Models 32-061 VAC Form Flying Fortress "Memphis Belle"
Boeing F-4B Hasegawa 51812 / QP12 / 08158 Nice kit of on of the colorful prewar carrier Biplanes. I have built one and found the fit to be good. Boeing P-12E Hasegawa 51811 / QP11 Land based version of the F-4B above, the kit resembles it but except from the wings, it's actually a different kit, not just a change of decals and paint scheme. Saw limited action in the Philippines. Brewster Buffalo 239 Speial Hobby 32004 Export version of the Buffalo, planned release 2006. Brewster Buffalo 339 Speial Hobby 32013 USAAC version of the Buffalo, planned release 2006. Brewster Buffalo F2A-2 Speial Hobby 32010 USN/USMC version of the Buffalo. A nice ki from looking i the box. Includes photo etchings. Curtiss BF2C-1 Hasegawa 51814 / QP14 Colourfull interwar carrierplane in usual early Hasegawa style. Curtiss F-9 C2 Williams Bros Sparrowhawk, fighter aircraft that could operate from airships! Like the other Williams sets it is very nice, it's produced in soft white plastic with nice surface details, mine fitted nicely and except from detailing with secondaty sight, ignition wires and antenna tripods, I changed the guns for Verlindens 1:35 .303 brownings, as the ones in the kit looked more like paddels than guns. Decals vent on nicely too. Curtiss H-75A 1/3 Azur 3245 Export version of the P-36, makings for French planes. Curtiss H-75 Mohawk IV Special Hobby 32016 Export version of the P-36. Curtiss P-36 CraftsWork 32103 Resin, whitemetal and photoechings Hawk 75 with decaloptions from Flying Tigers, North, South Africa and Pearl Harbour. 9 Cylinder engine. Curtiss P-36 CraftsWork 32102 Resin, whitemetal and photoechings Hawk 75 with decaloptions from Flying Tigers, North, South Africa and Pearl Harbour. 14 Cylinder engine. Curtiss P-36C Special Hobby 32003 Injetion molded model. Curtiss P-40E Revell 4664 Warhawk, I have three copies in two different boxes and markings, but the plastic is the same. It's a kit from the days where movable parts were a must, but they are nicely made, and after all, which airplane stands on the ground with all control surfaces in neutral at all times?. Take a look a some finished models here. Curtiss P-40E Trumpeter 2212 (2269?) Kittyhawk/Warhawk, planned release, announced at iHobbyExpo in USA October 2006. Curtiss P-40M Trumpeter 2211 Warhawk, planned release, announced at iHobbyExpo in USA October 2006. 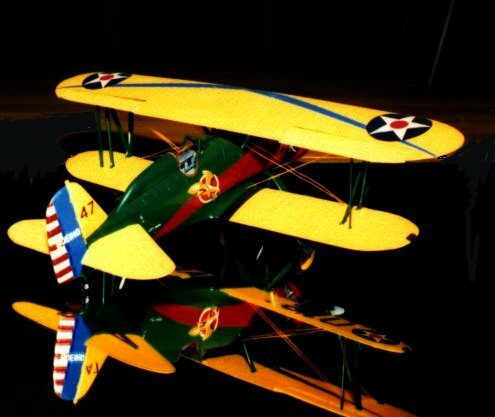 Curtiss R3C-2 XS Models 0320143C2MQ A Resin and Photoechins kit. Pictures of the kit looks like it will be nice kit for experienced buiders. Douglas SBD 1/2 Trumpeter 02241 Early Dauntless. This Trumpeter kit has no metal hinges, but all flying surfaces and flaps can be posed. The only photo etchings are seatbelts and sights. Douglas SBD 3/4 / A-24A Trumpeter 02242 Dauntless / Banshee both USN and USMC versions. This Trumpeter kit has no metal hinges, but all flying surfaces and flaps can be posed. The only photo etchings are seatbelts and sights. Both small solid and larger pnematic tailwheel tyres. Douglas SBD 3 Trumpeter 02244 Dauntless from USS Midway. This Trumpeter kit has no metal hinges, but all flying surfaces and flaps can be posed. The only photo etchings are seatbelts and sights. Douglas SBD 3/5 Matchbox 40503 / PK503 Dauntles, a very nice kit, I have two kits and they have a good fit and there are plenty of details, among them very nice air brakes, but the engine leaves some room for improvement. Douglas SBD 5 / A-24B Trumpeter 02243 Dauntless / Banshee both USN and USMC versions. This Trumpeter kit has no metal hinges, but all flying surfaces and flaps can be posed. The only photo etchings are seatbelts and sights. Both small solid and larger pnematic tailwheel tyres. Douglas SBD 3/5 Revell 04711 Dauntless, Reissue of Matchbox with different decals and a little more sync in my sample. Douglas TBD Trumpeter 2226 Devastator, planned release, announced at iHobbyExpo in USA in October 2006. Grumman F-3F Monogram PA58 / 6053 "Gulf Hawk" a civilian version of the F-3F, but with shorter wings. Grumman F-3F Revell 4787 "Flying Barrel". A reissue of the GulfHawk above with military decals, one problem though is that it's originally issued as the "Gulf Hawk" with the wings for this version, and they are to short, so you'll need two kits or good scratchbuilding ability. Also it's from the era where movable parts vere a must. The propeller can raise or lower the main landing gear. Not necessarily an advance for realism, but it's a nice kit anyway. Grumman F-4F-3 Trumpeter 2225 (2255?) Wildcat in very good quality - early fixed wing version. Se their F-4F-4 for more comments. Grumman F-4F-4 / FM-1 Trumpeter 2223 Wildcat/Martlet in very good quality. Trumpeter released this kit early in 2003 and got an awfull review, and they listened and retooled a brand new kit, which now seem to be as good as one can expect. All flying surfaces and the wingfold mechanism is made with PE and are moveable. I don't know if any of the original issues are out in the shops still, but aparently there's no difference in the box, so get the dealer to let you look in the box, the easiest way of telleing the two issues apart are the cockpit floor, if it's a rectangle, it's the old one, if it's with cutouts for seeing trough the lower fuselage windows, it's the new one. Trumpeter made one slip in their update, the revised fuselage has a different size and the firewall has not been changed, and therefore does not fit well, something that is seen easily trough the whellwells. Grumman F-4F-4 / FM-1 Hobbycraft HC1689 A reissue of the Trumpeter kit, but with other decals. Grumman FM-2 Combat Models 32-019 VAC Form Wildcat with larger tail and different engine (9 cylinder versus 14 cylinder!). Grumman F-6F 3/5 N Hasegawa 8101 / 51590 / SP090 Night Hellcat I have a set, it's identical to the one above, except that it includes one extra frame with 20mm guns and the wing radome. Grumman F-6F 3 Trumpeter 2256 Early Hellcat, Complete with wing fold and towtractor, test shot shown at the Tokyo Toy Fair in October 2006. Grumman F-6F 5 Trumpeter 2257 Late Hellcat. Announced at iHobbyExpo in the USA in October 2006. Grumman TBF 1 Trumpeter 2233 Avenger, early version with decals for Atlantic Anti Sub patrols. Grumman TBM/TBF 1C Scratchbuilders 96001 Avenger in resin, vac and whitemetal. Includes both brittish and american decals. The engine is a P&W R2600 from "Engines and Things". Grumman TBM 3 Scratchbuilders 96002 Avenger in resin, vac and whitemetal. Includes both brittish and american decals. The engine is a P&W R2600 from "Engines and Things". Grumman TBM 3 Trumpeter 2234 Avenger in usual Trumpeter standard, includes decals for all blue version which G. W. Bush flew. Grumman TBM/TBF ID Models 3267 VAC Form Avenger - Mine leaves a lot to be desired. Lockheed P-38L-5-LO Trumpeter 2227 A very nice Lightning, contains nice engines, but no clear cowls. The PE seems a little different, here you have to chose flaps deployed or not, they are not movable. Lockheed P-38 J Revell 4749 / 4774 Lightning, poor review in some magazines. I find it pretty nice considering the price when compared to Trumpeter. There's a lot that can be improved, but most are possible for the average modeller. Lockheed Sirius Williams Brothers Planned for 2004 with choice of either wheels or floats. Lockheed Spirit of St. Louis Pegasus Hobbies 8001 Planned issue 2006. McDonnell XV-1 Glencoe 5201 Convertiplane. An early attempt to speed up helicopters, by combining fixed wing and helicopter. North American Aviation A-36A Hobbycraft HC1710 Planned release of an Apache in cooperation with Special Hobby. The pictures released on the internet shows nice parts, different tires, noses and armament opions for Allison engined Mustangs. Also the wings are different from the planned P-51 Mustang releases. If I should have one small complaint, it would be that the divebrakes are not seperate parts, but are ingraved. North American Aviation A-36A Special Hobby 32014 Seems to be a planned release of an Apache in cooperation with Hobbycraft. The pictures released on the internet shows nice parts, different tires, noses and armament opions for Allison engined Mustangs. Also the wings are different from the planned P-51 Mustang releases. If I should have one small complaint, it would be that the divebrakes are not seperate parts, but are ingraved. North American Aviation B-25 Aurora Mitchell with gunnose. An older hard to find kit. Has been described as needing a lot of work. North American Aviation B-25 Guillows 32-022 Balsa and VAC Mitchell with metalparts. Bomber glasnose. Is probably hard to find as it is an older kit. North American Aviation P-51 Special Hobby 32005 Seems to be a planned release of Allison engined Mustangs in cooperation with Hobbycraft Canada. The pictures released on the internet shows nice parts, different tires, noses and armament opions. Also the pictures shows different cockpit parts for both original style canopy and Malcolm Hood. North American Aviation P-51 Hobbycraft HC1711 Operation Torch. North American Aviation P-51 Hobbycraft Canada 32005 Seems to be a planned release of Allison engined Mustangs in cooperation with Special Hobby. North American Aviation P-51A Hobbycraft HC1712 "Air Commandoes". North American Aviation Mustang Mk Ia Hobbycraft HC1713 "Armed Recon"
North American Aviation P-51B Revell 4740/ 4773 Poor review according Scale and Detail. The claim is that the wheels are to vide, the Wing root fillet to small, carburettor air intake to deep. Available both with and without Malcom Hood, I have one sample of each. I do not agree with this critique, in the same book the pictures show very good resemblance with the actual aircraft, and the recommended conversion of the Hasegawa P-51D is a major task, I don't find worth the effort. The kit isn't perfect, but with a little work it'll make into a nice model. The non Malcom Hood can be backdated to an A-36 Apache with some skill. North American Aviation P-51D Dragon 3201 Nice kit, seems better than the Hasegawa kit. Contains lots of parts and details as open gunbays and a nice engine. North American Aviation P-51D Hasegawa 8055 / ST05 Mustang "D" version, a very nice kit, but compared to the Revell issue above there are differences, some in favour of one kit, others for the other. The both make nice models, the main difference to me is that one uses raised rivets and the other engraved panel lines. I have both a complete and an incomplete set, and they are worth building, and will be. North American Aviation P-51D Hasegawa 8152 Presumably a brand new kit with decals for Big Beautifull Doll. Hasegawa has reissued a lot of new tool kits recently, so it may very well be correct. North American Aviation P-51 D Monogram 0067 "Phantom" Mustang. North American Aviation P-51 D Revell 4726 "Phantom" Mustang. Revell reissue of the Monogram kit. Decals for two versions, a USAAF P-51K and a USAF F-51D. Mouldedin clear with interior parts in colur. It is a model to build out of the box as it is intended, don't buy this with the intention of building a detailed model, but buy one and build for fun to include in the colection. North American Aviation P-51D Tomy HP-3 The exterior of this kit is very nice, while the interior is poor due to the room for batteries and engine to turn the prop. In contrast to other Tomy kits this one has as far as I have been told not been done by Swallow or Doyusha. North American Aviation T-6 CraftsWork 32106 Resin, whitemetal and photoechings Harward/Texan. Available spring 99. Republic P-47 D 30 Hasegawa St 27 Bubbletop. The kit is announced as new in 2006. Republic P-47 D Redux A multimedia kit for a Razorback, containing styrene, resin and photoetchings. It appears that more versions may be planned as both early and late engnes and different propellors have been shown. The parts breakdown has some resembence with the Tayia models and includes a wingspar that helps align and secure the wings and fuselage. Issue planned i 2006. Republic P-47 D Revell H-151 Razorback, I had two samples, it doesn't receive a very good review according to magazines. The claim is that both Revell P-47's have to long undercarriage leg, to small a tail surface and poor wheels. I agree about the wheels, they need to be replaced, but otherwise it's a very nice kit that'll make into a nice model, especially if you remember the age. Absolutely worth to build, if you can find it. Republic P-47 D Trumpeter 2242 Razorback version. Announced at the Tokyo Toy Fair in October 2006. Republic P-47 D Revell 4210 / 4452 / 4722 Bubbletop. This kit is available some places (reissued in 2002), decals for a Brazilian version is recently issued. Se Razorback kit for more info. Republic P-47 D Trumpeter 2243 Early Bubbletop version, with original tail. Announced at the Tokyo Toy Fair in October 2006. Republic P-47 D Trumpeter 2244 Late Bubbletop version with added finstrake. Announced at the Tokyo Toy Fair in October 2006. Republic P-47N Gerald Rutman Resin kit depicting the last version of the Thunderbolt. Completely new wings and all the detailing set made for the Revell kits are aparently included. Republic P-47 N Trumpeter 2245 Late Bubbletop version with added finstrake and revised wings and engine. Announced at the Tokyo Toy Fair in October 2006. Seversky P-35 (Sev 52) Williams Bros A very nice kit that includes parts for both a civilian racer and a military pursuit plane (Fighter). Saw action in the Philippines campaign. With a little work it can be converted to a Swedish EP-1 or even an Italian Regiane Re-2000 (The real one was a copy of the Seversky). Vought F-4U-1A/1D 21st Century Toys 22104 Again a nice model at a very resonable price. The decal sheet alone could easily cost as much on its own. Choose between drop tanks, bombs and rockets. Vought F-4U-1D Revell 4781 Very good review according to magazines. Based on my copy and one I've seen build I can only agree. The wing can be built as folded in a realistic way. (thus reducing the room needed for larger models as these) Details are of early 70 wintage and a few new detailset can really spice this kit up. After the release of the Trumpeter versions this kit only has the price going for it. Vought F-4U-1D Trumpeter 2221 A very nice kit with a lot of parts, moving flying surfaces etc. Working wingfold. Only complaits is that the cockpit floor is solid (It should not) and the rubber tires. Definately not for a beginner. Vought F-4U-4 Trumpeter 2222 A very nice kit with a lot of parts, moving flying surfaces etc. Working wingfold. Only complait is the rubber tires. Definately not for a beginner. Wendell Williams Williams Bros. Racer, nice kit.